How Does Your Process Help Customers? Yes, it is hard to get excited about process. But that is exactly what is required. 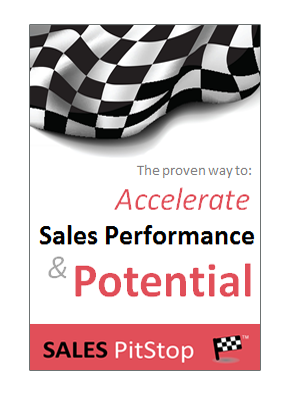 Your sales process has to excite your customers, as well as your sales people. It is at the very core of how they interact with customers, the level of engagement, the quality of conversations and the depth of relationships. Your sales process is how you want to engage with your customers. The set of steps or touch points by which you gain the trust of, impress and even excite the customer. At its core are high quality conversations. The basic principle is this: the sales process that adds value for the customer generates revenue for the business. The greater the value the greater the revenue. So the question is how much value does your sales process create for the customer? The depth of customer relationships. These are all proxies for increased sales success – that is why they are an important measure of your sales process. 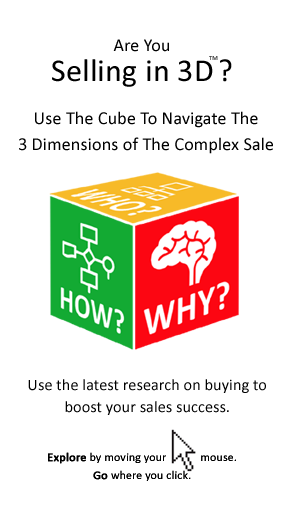 You will find a test that will help you gauge your sales process at the end of this insight. 1. Sales process has to be about more than selling your product – it has to focus on solving the customer’s problems. There should be no pressure on the customer and no hidden agenda on the part of the salesperson. That is key to ensuring a high level of trust. 2. A vital ingredient of any high impact sales process is that it focuses on the customer’s vision of success. Helping the customer to achieve increased clarity and confidence regarding their desired outcome is key. 3. It should make the buyer’s journey easier and help them to buy. So it has to take account of where the buyer is at in the buying process – for example whether they are actively shopping for solutions, or simply becoming aware of the problem. It has to address the growing need for any purchase decision to be justified internally and the requirement for a business case, or a set of numbers. It also has to help the buyer to meet the challenges of aligning stakeholders and managing risks. 4. It is a coaching process. That is to say it is not just about telling the customer what he she needs or telling them why your company and its solution is great. Rather it is a consultative process where the customer is engaged in the process of analyzing needs and exploring solutions. This is important because when the customer is involved in co-creating the solution their level of ownership and commitment is at its greatest. 5. It should be transformative – It is not just about sharing information – that is not enough. Today’s buyers have access to a vast array of information sources and can often end up in ‘analysis-paralysis’. The advisor or sales person should be able to offer insights and wisdom, not just information. 6. Your customer-engaging sales process should be a creative problem solving process – one that re-frames the buyer’s problems or opportunities. The process of interaction with the salesperson should result in new insights, new thinking and even break-throughs for the customer. That is the ultimate test. 7. It leverages the seller’s experience, wisdom and creativity. Most sellers (and their organizations) have accumulated significant knowledge and wisdom. The sales process should be the means by which the customer gets to access and benefit from that knowledge. Brand the process – how can you put a TM on the end of it? Create a visual representation of the process – what does it look like? Create some intellectual property around it – how can you integrate proprietary insights, research or tools into the process? Put science behind it – what reports, research or analysis can you leverage (either your own or that published by 3rd parties)? How to tangibilize the process – e.g. including physical reports and outputs? Clear outputs – what are the deliverables or outputs for the customer? Put a value on it – what will the process deliver in terms of time saved, opportunities identified, etc? 9. It should leave nothing to chance in terms of your customer’s experience. That means managing all the touch points – the website, the call, the meeting and so on – to create a consistent high quality customer interaction. 10. It should seamlessly integrate sales and service, or delivery, continuing after the sale has been made to cover the end-to-end process of customer engagement. It spans the full customer lifecycle with a view to capturing an increased share of the customer’s total spend, or wallet.